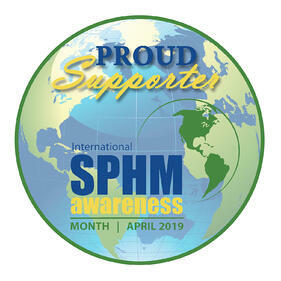 This April will be the first Safe Patient Handling & Mobility Awareness Month, an initiative launched by the International Journal of SPHM, with the goal of driving safe patient handling and mobility forward. The ‘Manual handling of people in the healthcare sector’1 defines Patient Handling as "any activity requiring force to push, pull, lift, lower, transfer or in some way move or support a person or body part". We believe Patient Handling is much more than that. We know that it’s an essential part of the path to well-being. Safe Patient Handling isn’t just about enabling safer conditions; it’s also about helping people to feel more secure. Safe Patient Handling can empower people to face unique challenges with courage and dignity. It’s about going beyond efficiencies to focus on ensuring caregivers have the time they need to care for and connect with patients and residents. Today, we provide Patient Handling through integrated solutions that are easy to use and readily available. They help ensure safe and efficient working environments for caregivers, while helping patients and residents feel secure, comfortable and dignified. At Arjo, we are dedicated to improving the lives of everyone affected by the challenges of reduced mobility, both patients and caregivers. With this in mind, Arjo will be publishing a series of blogs throughout the month to support the Safe Patient Handling & Mobility Awareness campaign. Click here to learn more about Safe Patient Handling & Mobility Awareness Month.